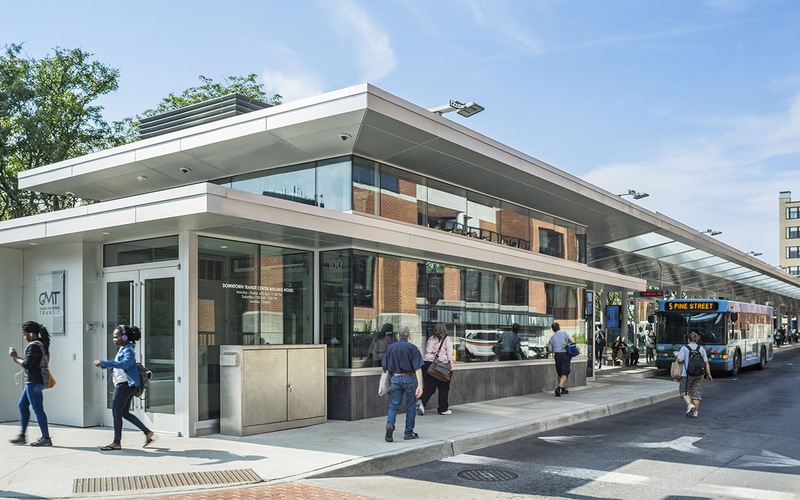 The Downtown Transit Center provides a safe and convenient hub for the estimated 1 million riders who will pass through its doors annually. 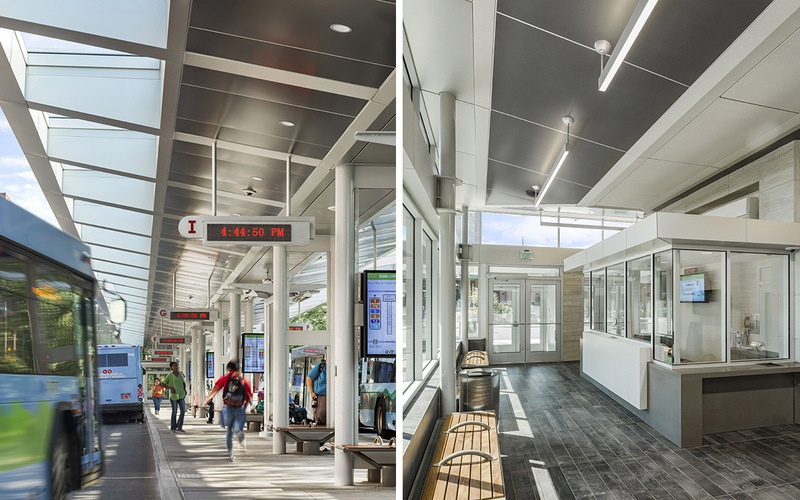 TruexCullins collaborated with Green Mountain Transit and VHB Engineers to design a convenient and centralized bus terminal that encourages ridership and improves traffic flow. 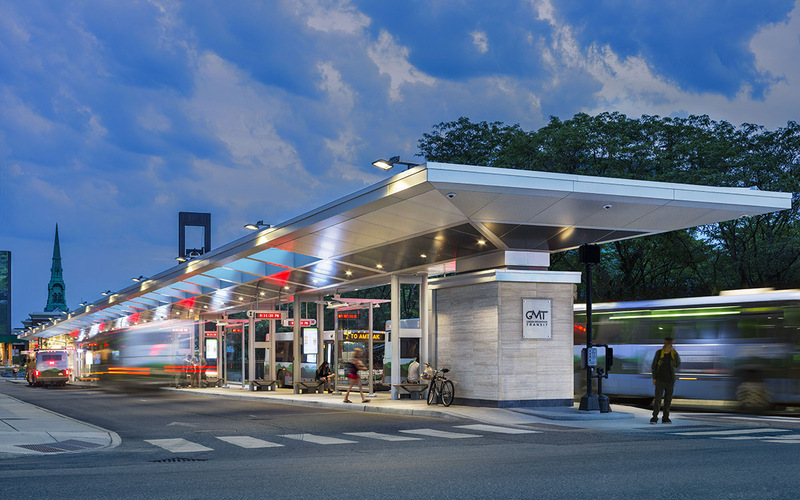 The distinctly modern facility features a 350-foot long covered bus platform and an enclosed terminal building with ticket window, public bathrooms, and support space for drivers. 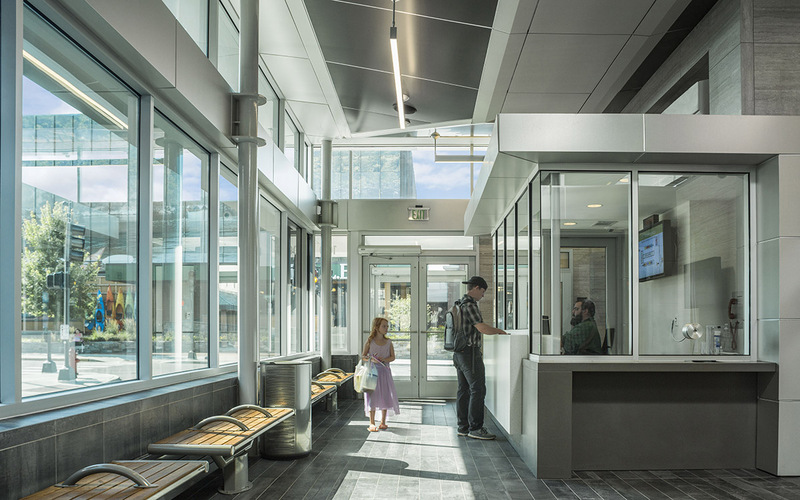 The new transit center advances the city’s goal to improve the Cherry Street corridor, strengthens the connection between the Church Street marketplace and the waterfront, and provides an attractive gateway to the transit system for the City of Burlington and surrounding municipalities.